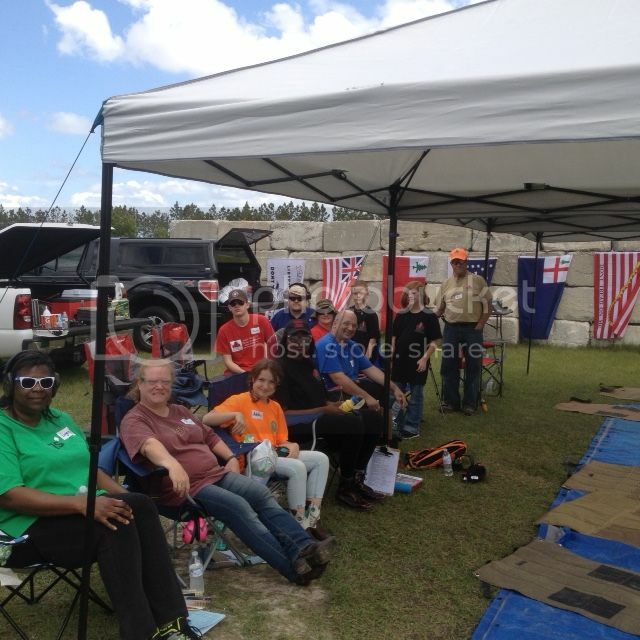 Well, quite a weekend here at the Flagler Gun & Archery Club in Bunnell, Florida. Perfect weather on Saturday and most of Sunday (until threatened by thunderstorms and a possible tornado!). We called it quits a bit early just in case. 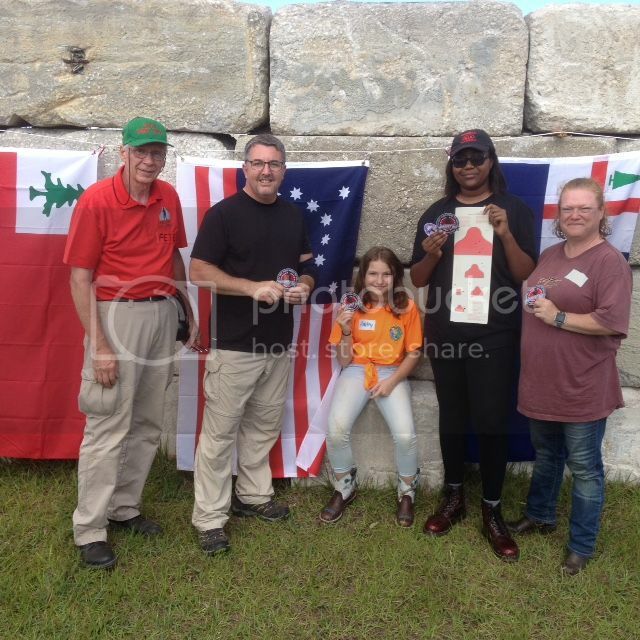 A group of shooters consisting of Girl Scouts and their leaders along with several others joined together to help celebrate our April 19th 1775 heritage. 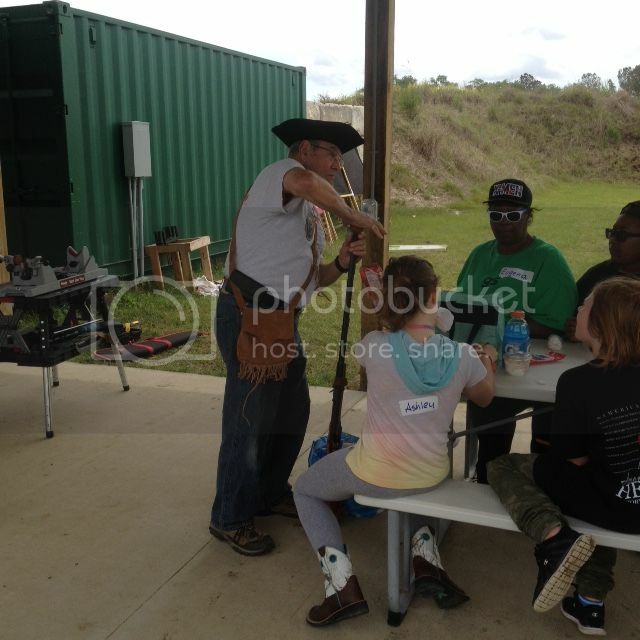 In addition to our traditional 'three strikes of the match', Edree showed us his black powder musket and Flawyer brought out his replica Redcoat Brown Bess (Tower) musket. The size and weight of the Brown Bess musket along with its attached bayonet was a formidable sight to see and hold! 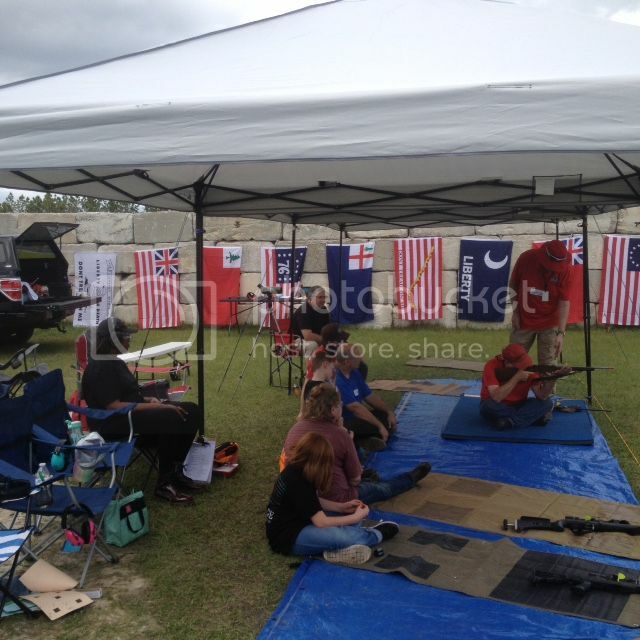 Much improvement was shown by all the shooters. 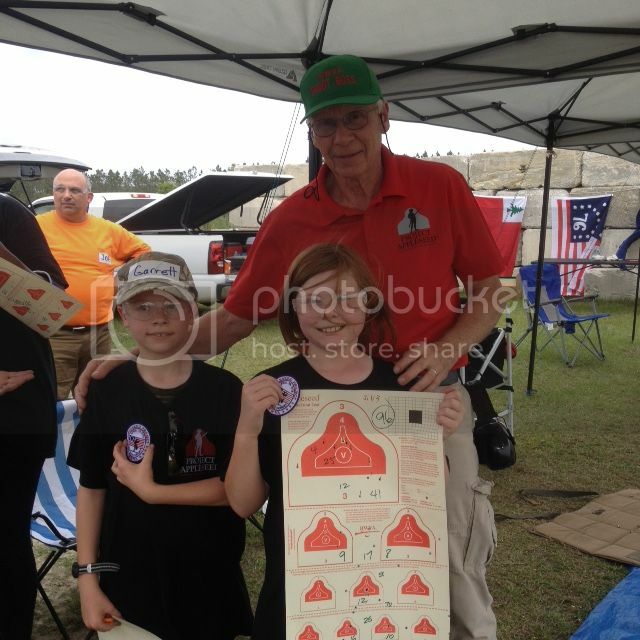 Joe 'cleaned ' the Redcoat target Sunday morning and shot a solid 188 on the AQT. Janay almost cleaned her Redcoat target but just missed the Daniel Morgan 'shingle'. 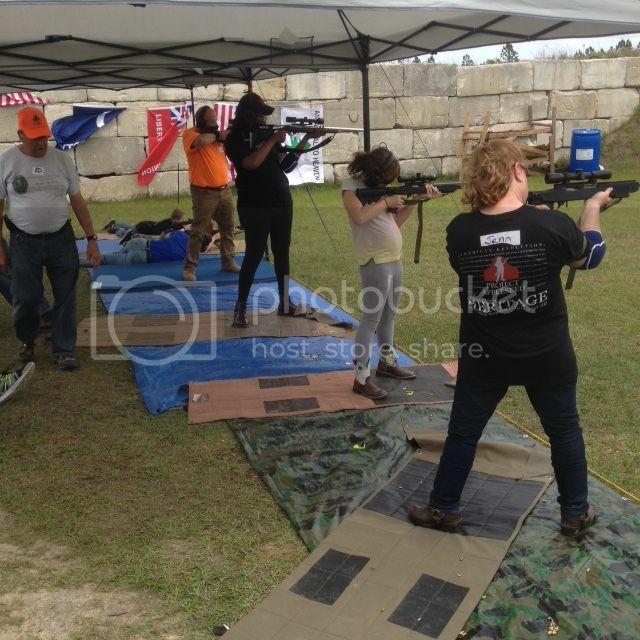 That was a great demonstration of perseverence after having to struggle early on with a loaner rifle. Jill and Garrett both improved steadily throughout the weekend and Jenn and Ashley both put in strong performances, too. Four Junior patches were handed out to the appreciative youngsters in the group. Jeff was looking good on Saturday but wasn't able to return and 'nail it down' on Sunday. All of the instructors were quite taken by being presented with 'Thank You' cards and a box of Girl Scout Cookies! 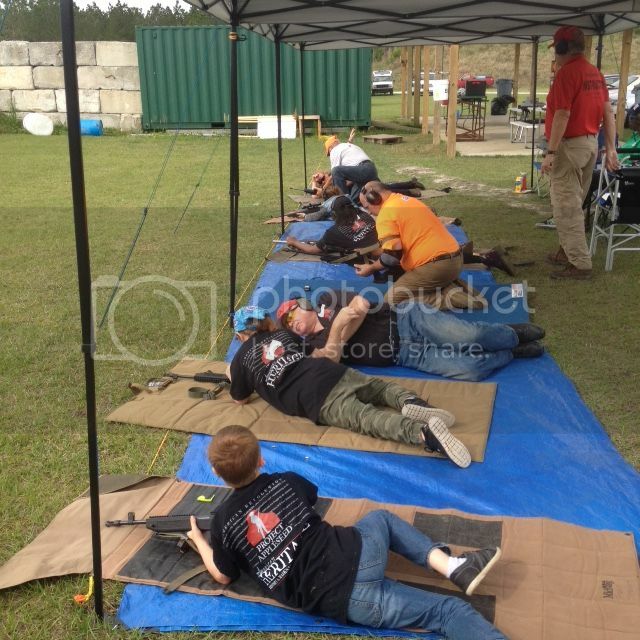 Thanks again to all the shooters, parents and helpers (Nicole, Chance, Eugenia, Jocelyn and Gavin) and to the three instructors; Flawyer, edree and TomM1thumb for their outstanding efforts. 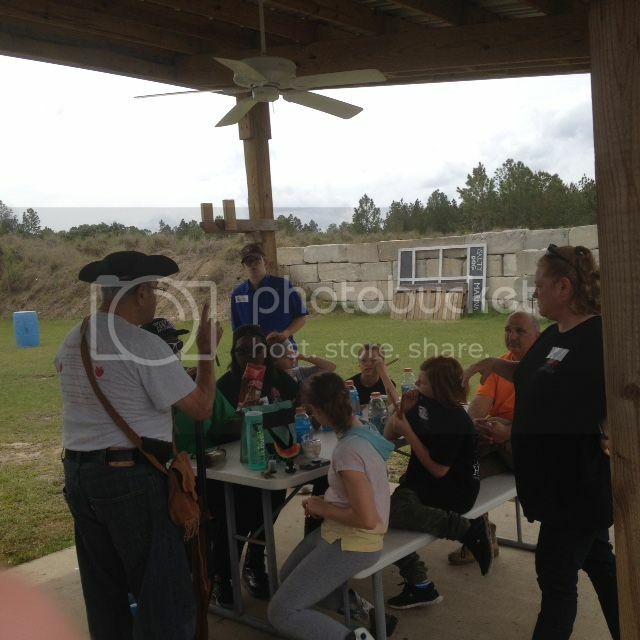 What a Great Group of Shooters, All Very polite, all Attentive, ready to learn. a Joy to work with. the only Problem We had was not enough Shooters. Next time Bring some more Scouts. Jill and Garrett, come back anytime.